As soon as I saw it, I called my mom. Her favorite show growing up was, I Love Lucy with the star Lucille Ball. 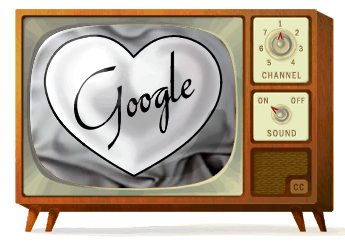 Lucille Ball was born a 100 years ago today and to celebrate - Google has a special logo, aka Doodle. Rarely does Google blog about their Google Doodles, but this time they did calling "her jokes are timeless." What a great logo Google! Forum discussion at Google Blogoscoped Forums & Google Web Search Help.